Arnold Farlow has run or ridden a lot of miles and worn a lot of hats in his career. He and his wife, Beth, rode their bicycles across the United States early in their marriage. He has ridden in 26 of the 50 states, and most of the counties in Maryland, Virginia and North Carolina. He has also completed four marathons, including the Boston. Arnold’s career has included recruiting and teaching for the Adult Basic Education program at Alamance Community College. He has worked in real estate, at a carpet store, in college ministry, at Allied Churches of Burlington and has pastored two Methodist churches in the mountains. 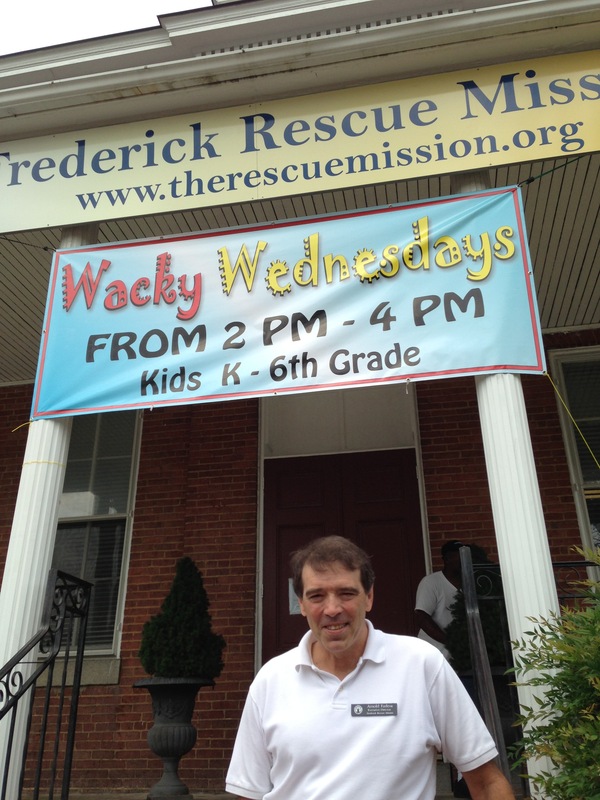 But since 2005, Arnold has served as the executive director of the rescue mission in Frederick, Md., and I believe he has found his sweet spot there. I recently had the opportunity to visit Arnold and see how he spends his days working toward the goal of the mission: to show Christ’s love and rescue the least, the last and the lost from poverty, homelessness and addiction. “We focus on two objectives here at the mission,” Arnold said. “To change lives now. And to change lives for eternity.” In pursuit of the first goal, the mission served over 148,000 meals last year. They also gave away literally tons of clothing and groceries to those in need. In pursuit of the second, and more important, goal, Arnold said they open their doors every day to men who are wanting a life change, and who are willing to join the one-year residential program at the mission. It occurs to me that these are worthy goals for every man, whether he is homeless or not. What kind of changes would take place if every church were intentional about helping each of its members reach these goals? As I met the staff at the mission and talked to some of the residents, one thing stood out to me. They love Arnold Farlow. Maybe that’s the key to the success he has found at the mission. He loves them with the love of Jesus. They love him back. Many of them stay around, get the help they need, and end up living healthy and productive lives. If you drive through the hills and around the Civil War battlegrounds that dot the Frederick landscape, you may see Arnold riding his bike. He loves it. If you visit the mission in downtown Frederick, you will see Arnold helping the least, the last and the lost. He loves that even more. He’s found his sweet spot. Awesome work for the least of these! Thanks for having God’s heart!